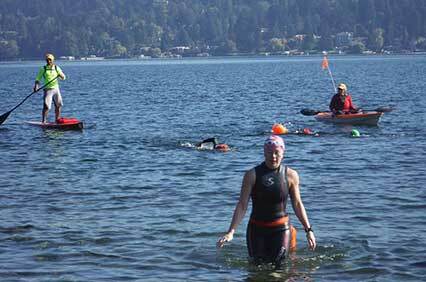 This challenging endurance event in Lake Washington is for experienced distance swimmers only. Come celebrate its third year with a brand-new route! 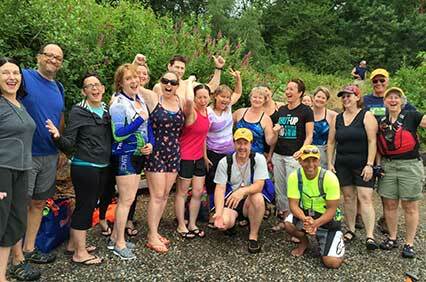 Twenty-five swimmers completed the course in 2018, and many described it as one of the best swimming experience they’ve had. 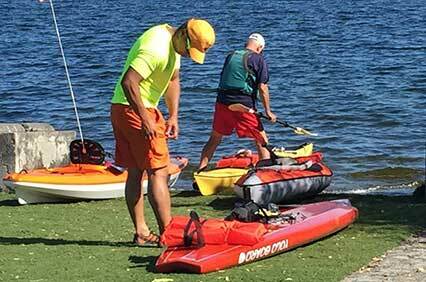 Swimmers must provide their own paddlers to supplement our trained safety craft, which includes kayakers and at least one Zodiac. 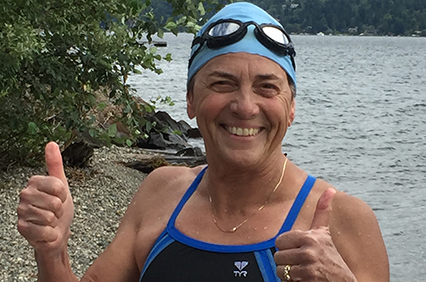 All swimmers will receive a branded swim cap and their choice of champagne or chocolates as a celebratory prize; all support personnel and kayakers receive a gourmet sandwich from an award-winning bakery. 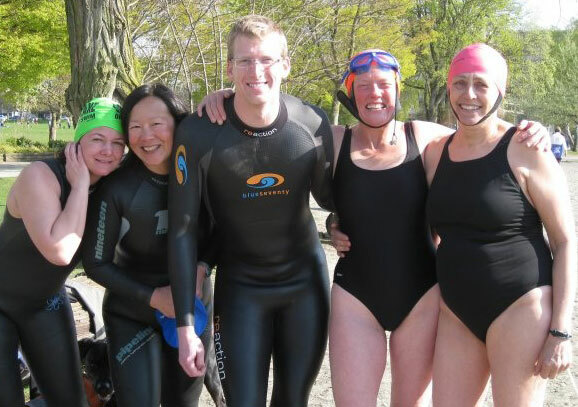 We accept participants based on their RECENT open water swim experience. Preference is given to those who have swum further than 5k at least twice in the last two years. To receive the registration link, please contact Guila describing your open water swim experience. In your e-mail, please describe your training plans for this 10k event. If you are accepted, Guila will provide the link to register. Note: Swimmers who complete the 2019 OctoChallenge are encouraged to apply, and those who swam our 10k Invitational Open Water Swim in 2018 may simply request the registration link. Registration for this event closes at midnight on Wednesday, September 11th, or when all spaces are filled, whichever comes first. Location: Lake Washington. Directions provided on registration. Level: Challenging. Please register only if you are confident in your ability to swim the entire distance. 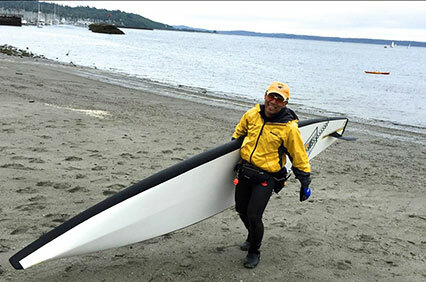 Wetsuit: Your choice to wear one or not. 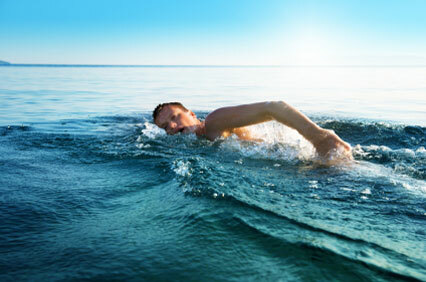 Many swimmers get very cold spending this long in the water, so please be thoughtful about your choice. SAVE $25 with The Intrepid Dual Swim Package. SAVE $40 with The Vanquisher Triple Swim Package. Learn how you can pay even less for your choice of Escorted Open Water Swim events with our discount options! To swim with us, you must read and agree to the Say Yes to Life Liability Waiver/Safety Plan. 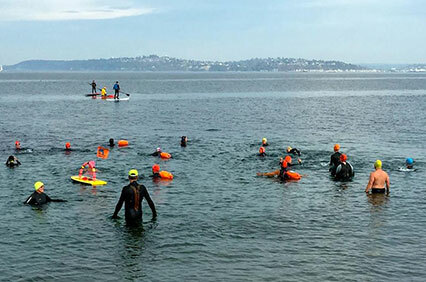 See a list of all 2019 Escorted Open Water Swim Events.